Sintefex's Dynamic Convolution is patented technology that uses a unique process of applying a collection of impulse responses taken from the original equipment to exactly simulate the sound of the original equipment. Liquid Channel is manufactured exclusively by Focusrite Engineering Ltd under licence from Sintefex Audio Lda, Portugal. Liquid Channel is a trademark of Focusrite. Dynamic Convolution is a trademark of Sintefex Audio Lda. 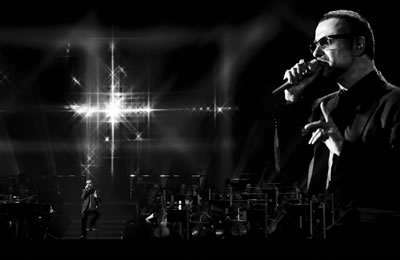 A total of eight JoeCo BlackBox BBR64-MADI recorders, designed in a joint venture between JoeCo and Sintefex Audio, were used on the recent George Michael Symphonica Tour to capture 2x256 channels of audio in what was potentially one of the largest live recording projects to date. In addition to their nightly recording function, and the additional capture of soundchecks, the BlackBoxes were also used in Virtual Soundcheck mode for system set-ups, replaying material from previous shows to help balance and EQ the PA system at each venue. At the Royal Opera House, four further BBR64-MADI units were connected to an additional DiGiCo console, generating broadcast mixes for this particular show. As well as running an extra 256-channel record, the BlackBox recorders also acted as a playback engine for making adjustments to the broadcast mix. The BlackBox BBR64-MADI Recorders were supplied by Wigwam Acoustics Ltd (www.wigwamacoustics.co.uk) and JoeCo Ltd. Image used by kind permisssion. 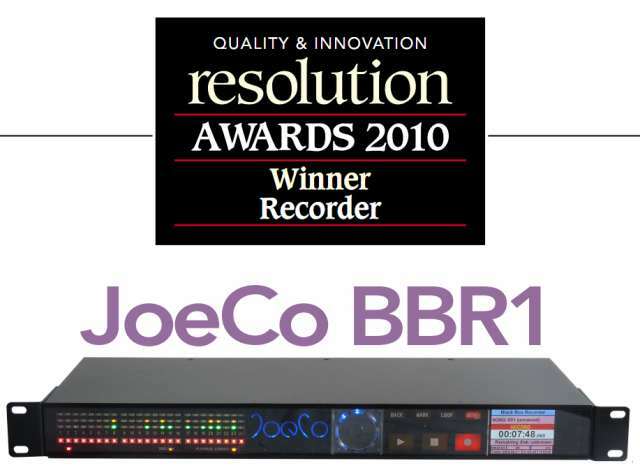 Readers voted in the the JoeCo BLACKBOX RECORDER as the Best Recorder in the 2010 Reader Poll. The Resolution Awards recognise quality and innovation in professional audio and BLACKBOX RECORDER won in the face of stiff competition. Sintefex is pleased to be part of the success of the Joeco BLACKBOX RECORDER as the supplier of the hardware and software implementation of this award winning product. Sintefex Audio is dedicated to innovative research, development and manufacturing of digital audio products for the professional user. Sintefex Audio is the pioneer of its unique Dynamic Convolution (tm) system which allows digital audio processing to be as rich and complex as analogue processing, and by using digital samples of classic analogue processors allows the depth and warmth of analogue processing effects to be available in the digital domain for the first time.